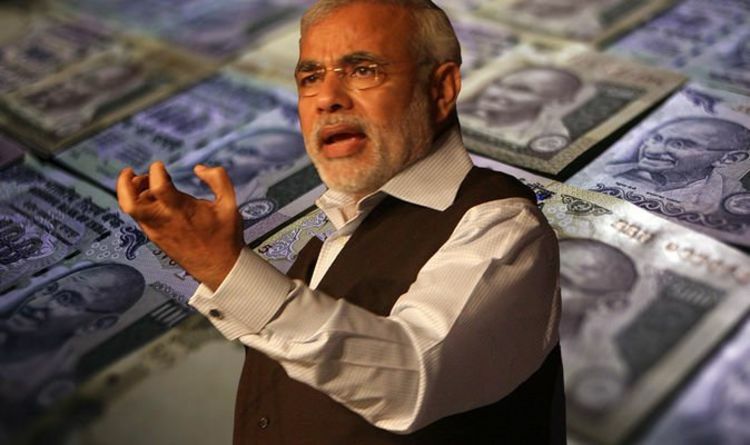 The rupee climbed against the American greenback for a successive third day of gains, partly stemmed from inflows being pushed higher on reports expecting current Prime Minister Narendra Modi and his Bharatiya Janata Party to maintain leadership. INR was trading at 68.9263 versus the US currency as of 2.49pm UK time. The latest rise marks on appreciation of 75 paise for the rupee, which earlier this month hit a fresh eight-month high against the dollar. Weakness in the US dollar against major currencies across the globe helped push INR higher, with the dollar index, used to measure strength of the American greenback, fell 0.03 percent to 96.91. Meanwhile, the rupee has also been bolstered by dragged down oil prices, which have been dented by surging US crude stockpiles and record production. However, analysts suggest the rupee could witness turbulence as the upcoming elections kick off today. Ring Sen, FX strategist at ANZ, said: “The coming general elections carry a near-term risk for the currency, especially if results are contrary to what markets expect. “However, a comprehensive party or a coalition victory could add to the rupee’s upside, in line with its performance during past election cycles. India will hold the world’s biggest election in seven phases starting from today, with about 900 million voters eligible to participate. Opinion polls show Prime Minister Modi is on course to win a thin majority, with his party’s focus on national security appearing to trump concerns over jobs and farm prices. More than half the population of 1.3 billion younger than 25 and millions join the workforce in India every year.